Де подати заяву на отримання візи? Як подати заяву на отримання візи? The Embassy of Finland announces appeal for applications for projects to be funded from the Local Cooperation Fund in 2019. The applicants are asked to send the attached application form, carefully filled in English language. Please note that the application should not exceed 10 pages. Shortlisted candidates for the fund will be selected and requested to provide additional information on the project if needed. The final candidates to be funded are selected among these and approached for a possible meeting before signing the agreement. Note: application documents shall be submitted in English language only. The Finnish Local Cooperation Fund (LCF) is a fund administered by the Embassy of Finland in Kyiv. The LCF is aimed at supporting local (Ukrainian) non-governmental organizations (NGOs). In some cases also other types of organizations can be considered eligible, including educational and research institutions, independent media, and cultural organizations. The objective of the LCF is to support strong and active civil society organizations, which is an important component of functioning democracy and open society. 2-3 projects will be chosen to receive financing from the Embassy's Local Cooperation Fund 2019. The budget for a proposed project must not exceed € 50 000, but it should also not be less than € 20 000. Note that each year we receive multiple times more applications than we can fund. Competition is high. Therefore we recommend you to carefully read the instructions and prepare your proposal well. We particularly appreciate clear articulation of the project's purpose and intended impact. If the project budget exceeds € 20 000, the organization must include an independent audit. It is recommended to include its costs in the project budget. The Embassy does not provide funding for projects where the Finnish LCF is the sole source of funding. The project proposed must have the potential for real and measurable impact. The projects proposed are typically for one year, but must be completed latest by November 2020. If you propose a project unrelated to the mentioned priority area, you can still submit a proposal but we recommend you to be particularly prudent with presenting the case for your proposal. Projects implemented by Government, ministries or local authorities. Projects where the beneficiary is one person, one family, or private business. Projects exclusively or typically of charity. Organizing a single event, for example cultural or charity-related, or a conference. Humanitarian assistance (funding for that has established channels). UN, OSCE, or other international organizations, international NGOs (INGOs), or Finnish NGOs. 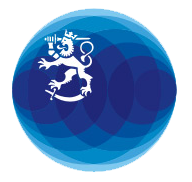 (These types of organizations apply and receive funding from the headquarters in Helsinki.) The local (Ukrainian) partners and implementing agencies, however, are eligible. Projects that take place in areas currently out of the control of the Ukrainian Government. Personal grants for individual persons. Purchase of vehicles, land, or real estate. Projects where the main purpose is a trip to Finland or another foreign country. The Embassy of Finland underlines the importance of preparing a high-quality project application. The applicants must demonstrate capacity and professionalism for the kind of work they propose to be funded by the Embassy. The capacity and professionalism should be reflected in the quality and clarity of the proposal. The most important selection criteria are the relevance and quality of the proposal. When selecting among the applications for funding, the Embassy seeks to keep a balance between the priority fields as well as a geographical balance of activities within Ukraine. We also seek to maintain a balance between the recipients, so for example if your organization received the LCF in one of the recent years, while you are fully eligible to apply, we may opt for giving the chance for a new partner. One partner can be funded for two subsequent years at maximum. Otherwise, partners with whom we have good experience from past cooperation are very welcome to reapply. The applicant needs to be eligible for the LCF. The project needs to qualify for ODA and particularly for the LCF. The project's main purpose, activities and expected results must be clearly articulated. The project's objectives should be realistic. There should be adequate indicators to measure the results. Costs need to be clearly assessed, and realistic. The beneficiaries of the project and their needs need to be defined. There should be a realistic risk analysis: what could go wrong? The expected long-term effects of the project should be explicated. The activities of the partner and the project should be sustainable. Gender and other kinds of equality and inclusiveness need to be taken into consideration in the project. Please indicate on the subject line "LCF" and the name of your organization. The form must be filled in English language. Attention! Application without date and signature will be rejected. You can use electronic signature. The file should not exceed 5 Mb. Please do not send us the links to download the files. Please do not send multiple applications, and do not send the application to any other addresses than the one indicated. Also do not use the Embassy's Facebook page or any other unofficial channel of communication for the delivery. Before you contact the Embassy with your procedural questions, make sure you cannot find the information in these instructions. The Embassy will not give information about the actual selection process before the closure of applications. Do not attempt to influence the selection process by calls or meeting requests. The Embassy will contact you only if your organization has been shortlisted, and you will be requested to provide additional information on the project. Results of the first round can be expected by the end of March 2019. Time schedule of the selection process is a subject to force majeure reasons that may sometimes cause delays. The applicants shortlisted for the second round will be contacted separately to discuss their proposal in more detail. This is the point where the organization can be suggested to make alterations in the time schedule or other details, reduce the budget originally proposed (but not increase it), and possible other issues. Final applicants will be contacted for a possible meeting before proceeding to an agreement. Those applicants that were not selected for funding this time will be duly informed. Make sure your contact information is correct and available for the case we attempt to contact you. Results of the second round can be expected by the end of April 2019. The Embassy of Finland reserves the right to accept or reject any project proposal based on their preferences and on changes in the situation within the country. Project agreement between the Embassy of Finland and the organization must be signed by an authorized representative of the receiving organization. The signing will take place in Kyiv at the Embassy of Finland. The recipient of the LCF is responsible for fulfilling the activities the grant was meant, and appropriate financial administration. At the end of the project, the organization shall provide the Embassy with full narrative and financial reports of the implementation of the project, in accordance to the plan and the agreement. In one-year projects, no interim report is required. Project budget and agreement are made in Euro. It is the responsibility of the recipient organization to decide whether they want to receive the funding in Euro (as in the agreement) or in the equivalent sum in UAH according to the Embassy's exchange rate at the time of the payment. The Embassy will not compensate for currency rate losses. Payment of the grant is typically provided in two instalments: first at the initiation of the project once the agreement has been signed, and the second and last after adequate final reporting has been received by the Embassy. The Embassy reserves a right to audit or evaluate any of the projects it has funded at any time. The organization responsible for the project shall provide all necessary documentation available for evaluation / verification. All projects with a budget of € 20 000 or more are required to conduct an independent audit, and it is recommended to include its costs within the proposed budget. Посольство Фінляндії оголошує змагання проектних заявок на отримання фінансування від Фінського Фонду Місцевого Співробітництва у 2019 році. Для участі у змаганні Заявникам необхідно надіслати application form, заповнену англійською мовою. Обсяг аплікаційної заявки не має перевищувати 10 сторінок. Заявки на отримання фінансування необхідно надіслати до Посольства не пізніше 16.00, 28 лютого, 2019 року. Посольство зв'яжеться із кандидатами, відібраними для участі у другому турі, для більш детального обговорення проектів. Фіналісти будуть відібрані із цієї групи, Посольство зв'яжеться з ними для можливої зустрічі та подальшого підписання договору. Примітка: заявки мають бути заповнені лише англійською мовою. Фінський Фонд Місцевого Співробітництва (LCF) – Фонд, яким управляє Посольство Фінляндії в Україні. Фонд спрямований на підтримку місцевих (українських) неурядових організацій (НУО). У деяких випадках також інші організації можуть подавати свої заявки, наукові та дослідницькі інститути, незалежні ЗМІ та заклади культури. Мета Фонду – підтримка активних громадських організацій, що є важливими складовими дієвої демократії та відкритого суспільства. 2-3 проекти будуть відібрані для підтримки Фондом Місцевого Співробітництва Посольства 2019. Бюджет запропонованого проекту не має перевищувати 50 000 євро, але не повинен бути менше, ніж 20 000 євро. Зверніть увагу, що кожного року ми отримуємо у декілька разів більше заявок, ніж можемо підтримати. Конкуренція є високою. Отож ми рекомендуємо Вам уважно ознайомитися із інструкцією та підготувати Вашу пропозицію належним чином. Особливе значення для нас має чітке визначення мети проектної заявки та очікувані результати (вплив). У випадку якщо бюджет проекту перевищує 20 000 євро, організація повинна провести незалежний аудит. Ми рекомендуємо Вам внести відповідні кошти до бюджету проекту. Посольство не підтримує проекти, що передбачають фінансування виключно за рахунок Фонду. Запропонований проект повинен мати потенціал для реальних, вимірних результатів. Запропоновані проекти розраховані, як правило, на один рік, але мають бути завершені не пізніше листопада 2020 року. У випадку якщо Ваш проект не відповідає вищезазначеній пріоритетній темі, Ви можете подавати заявку, але ми рекомендуємо Вам бути переконливими у презентації Вашого проекту. ООН та інші міжнародні організації, міжнародні неурядові організації та фінські НУО. (Такі види організацій подають свої заявки та отримують фінансування із центрального офісу у Гельсінкі). Місцеві (українські) партнери та установи-виконавці, однак, можуть бути обрані. проекти, головною метою яких є подорож до Фінляндії чи іншої зарубіжної країни. Посольство Фінляндії підкреслює важливість написання якісної проектної заявки. Заявники повинні продемонструвати професійну компетентність стосовно реалізації проектної діяльності, яку вони мають намір фінансувати за допомогою Фонду. Професійна компетентність має бути відображена у якості та чіткості проектної заявки. Найважливіший критерій відбору проектних заявок – це відповідність та якість заявки. Під час відбору проектних заявок Посольство намагається зберегти баланс між пріоритетними темами, а також географічний баланс в межах України. Ми також намагаємося дотримуватися балансу між отримувачами грантів. Якщо, наприклад, Ваша організація вже отримувала грант від Фонду один чи два роки тому, Ви маєте право подавати нову заявку, але ми можемо вирішити надати можливість новому партнеру. Один партнер може отримати фінансування протягом максимум двох років поспіль. У іншому випадку ми будемо раді співпрацювати із партнерами, з якими у нас уже є гарний досвід співпраці. реалістичний аналіз ризиків: що може піти не так? У темі повідомлення вкажіть, будь ласка "LCF" та назву Вашої організації. Заявка повинна бути завпонена аглійською мовою. Увага! Аплікаційні форми без дати і підпису не будуть розглядатися (Ви можете також використовувати електронний підпис). Обсяг файлу не має перевищувати 5 Мб. Не надсилайте, будь ласка, лінки для завантаження файлів. Будь ласка, не надсилайте заявки декілька разів, не відправляйте заявку на інші адреси, лише на вищезазначену. Також не використовуйте сторінку Facebook Посольства або будь-який інший неофіційний канал зв'язку для надсилання заявки. Перед тим як звернутися до Посольства із запитаннями, впевніться, будь ласка, що Ви не можете знайти необхідну інформацію самостійно у цій інструкції. Посольство не надаватиме інформацію щодо процесу відбору заявок до закриття конкурсу. Не намагайтеся вплинути на процес відбору заявок телефонними дзвінками чи проханнями про зустріч. Посольство звернеться до Вас лише у випадку якщо Ваша проектна заявка пройде у другий тур і Вам необхідно буде надіслати додаткову інформацію. Результати першого туру слід очікувати в кінці березня 2019 року. Процес відбору заявок є предметом форс-мажорних обставин, що може іноді призвести до затримок. З кандидатами, обраними для другого туру, Посольство зв'яжеться окремо для обговорення проектних пропозицій більше детально. На цій стадії організації може бути запропоновано внести зміни до робочого графіку, скоротити бюджет запропонований спочатку (але не збільшити його) та вирішити інші питання. Заявники, яких не вибрали для надання гранту під час другого туру, будуть повідомлені про це належним чином. Переконайтеся, що Ваша контактна інформація є правильною для того аби Посольство могло зв'язатися з Вами. Результати другого туру слід очікувати в кінці квітня 2019 року. Посольство Фінляндії залишає за собою право прийняти або відхилити проектні пропозиції згідно своїх преференцій та змін ситуації в країні. Проектна Угода між Посольством Фінляндії та організацією повинна бути підписана уповноваженим представником організації-отримувача гранту. Підписання відбудеться у Києві, у Посольстві Фінляндії. Отримувач гранту від Фонду несе відповідальність за виконання заходів, для яких грант був наданий та за належну фінансову діяльність. Наприкінці проекту організація повинна надати Посольству повний описовий та фінансовий звіти про реалізацію проекту, відповідно до плану дій та Угоди. Для проектів, що тривають лише рік проміжний звіт не передбачається. Бюджет проекту та сума гранту в Угоді вказані у євро. Організація-одержувач самостійно приймає рішення отримувати фінансування у євро (як буде вказано в Угоді) або в еквівалентній сумі у гривні за курсом Посольства на момент оплати. Посольство не буде компенсувати втрати, пов'язані із обмінним курсом валют. Грант, як правило, надається двома частинами: на стадії ініціювання проекту після підписання Угоди, друга і остання частина - після отримання Посольством належної фінальної звітності. Посольство залишає за собою право перевіряти або оцінювати будь-який з проектів, що фінансується у будь-який час. Організація, відповідальна за проект, повинна надати всю необхідну документацію для оцінки / перевірки. Всі проекти з бюджетом у € 20 000 і більше зобов'язані проводити незалежний аудит, ми рекомендуємо включити ці кошти до бюджету. Sähköisen palvelumme kautta voit ilmoittaa, jos epäilet kehitysyhteistyövarojen väärinkäyttöä – esimerkiksi lahjontaa, kavallusta tai muuta avustuksen ehtojen vastaista menettelyä. Kaikki ilmoitukset käsitellään ulkoministeriössä tai siirretään muiden viranomaisten selvitettäväksi. Suomi ulkomailla on ulkoministeriön ja Suomen ulkomaanedustustojen tuottama verkkosivusto.